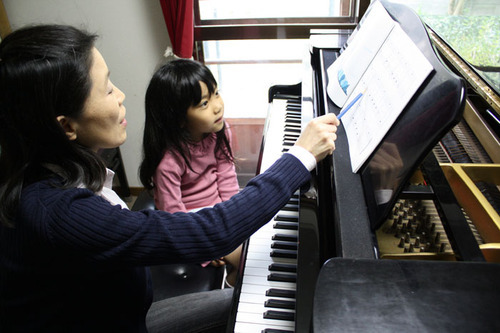 <a href="http://khaju.com/english/info-e02.html">Andante Piano Studio</a> is a popular class which started in1997 as same as Khaju opened. In these 14 years, this class has been filled with many students from small kids to the aged and quite few students quit. The singer Kunoki Naomi who is a teacher of <a href="http://khaju.com/english/info-e11.html"> NAOMI Vocal Class</a> is also an ex-student of Keiko.